Five pretty flowers in my garden grew. "Hmmm," I said, "I bet they smell good too!" I bent down to sniff, but they tickled my nose. I sang this to the tune of "Five Little Ducks." I have to say, I did not expect for the kids in my storytime to find sneezing so very, very hilarious, but they really did! This felt board story was a lot of fun. 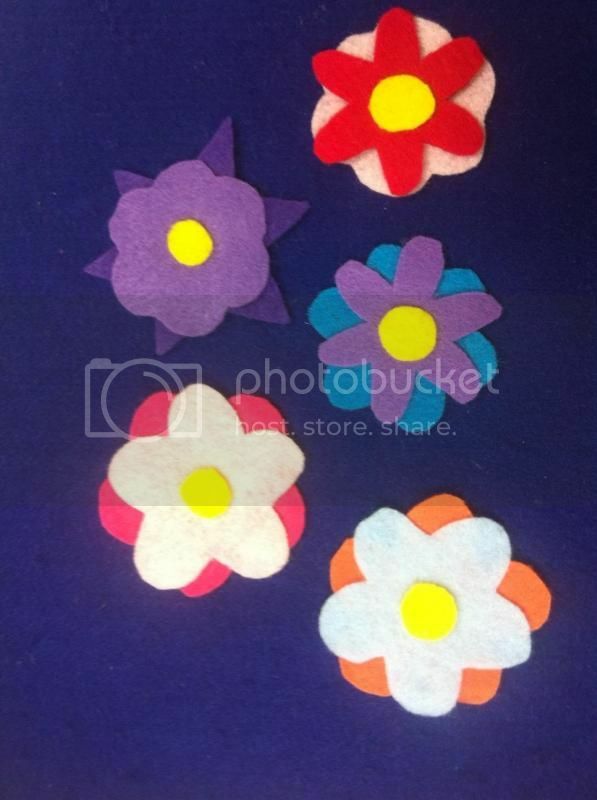 If I'd had a little more time, I would have created leaves and stems, so that I could just pop off the heads of the flowers one by one, but they worked well enough on their own, and were attractive and easy to make.